This website was designed and built by Peter Tetteroo who lives and works in the Netherlands. 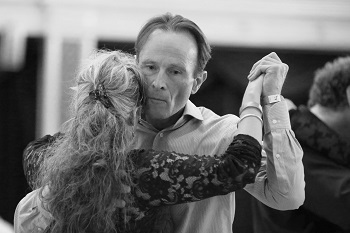 In 2011 Peter came into contact with Argentine tango and it has never let go of him since. Spanish translations were kindly provided by Cecilia Mendiola and Kimberly Scola. Cecilia was born in Buenos Aires and she started dancing Argentine tango 10 years ago. Kimberly is a teacher in Spanish and she is a tango dancer as well as a tango DJ. Join the website translation team ! Currently this website is available in English, Spanish and Dutch. I would also like to publish French, German, Polish and Italian versions. Would you like to assist?